Jim Shuman is the proud owner of SERVPRO of South Mecklenburg County. He and his family are native Charlotteans and love the community they serve. He has has a vast background of experience with more than 25 years working with State Farm as an Insurance Claims Specialist with an extensive background in Catastrophe Response. He was also a Director of Facilities and Security at a large facility that covered more than 65 acres, including 26 buildings and more than 1,000 people visiting the campus daily. As director, he helped restore the campus quickly and efficiently after several hurricanes and severe storms wreaked havoc and closed the campus. Jim’s passion has always been to serve others in need, and when the opportunity became available for him to join the SERVPRO team, he did not hesitate for a moment. 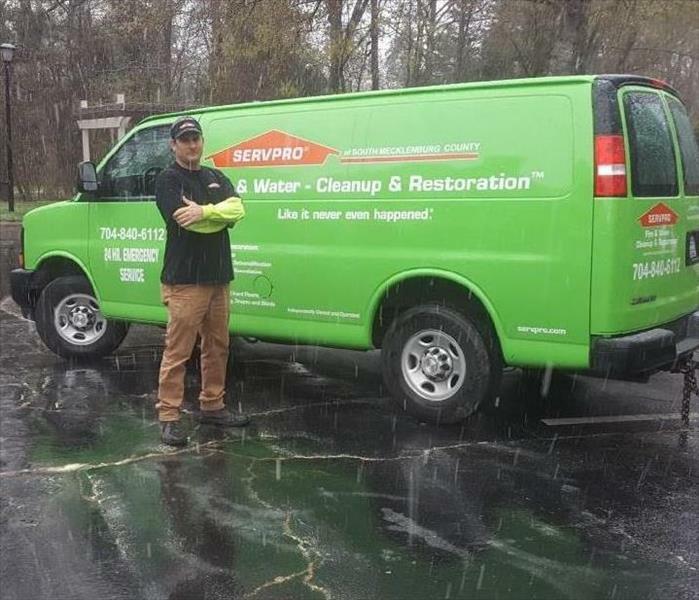 He knew the level of quality, fairness, and excellence SERVPRO provides it’s customers mirrored his own expectations for excellence in ALL that he does professionally and personally. He recognized that owning SERVPRO of South Mecklenburg County was his opportunity to bring this high level of service and support to neighbors and friends in South Mecklenburg County. He is ready to help you make it “Like it never even happened." SERVPRO of South Mecklenburg County is locally owned and operated, so we’re already close by and ready to respond immediately when you need us. We’re also part of a national network of over 1,700 Franchises, which gives us access to more resources for larger cleaning or restoration projects or major storm scenarios.